Abandonware is one of those “Well…nobody really minds, do they?” forms of gaming. Dedicated to classic PC games, Abandonware are games that cannot possibly have a commercial value, as they have been released, sold full price, sold with 10% off, rereleased in the “replay” range, sold cheaply rereleased, and is now languishing at the bottom of bargain bins for 10p and even can’t get sold in closing down shops such as Woolworths (yes, I’m looking at you Virtual Fighter PC). So, therefore people think that this software can’t be sold, but it can be played for free instead. 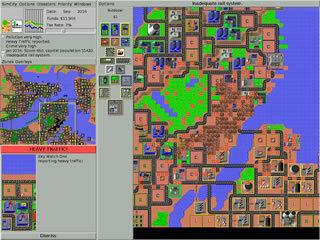 However, Abandonware has a bit of a checkered history, as some of the games that were touted as abandonware weren’t actually abandoned, so great games with still a bit of shelf life (such as Destruction Derby 2) were quickly hounded up and locked away from the Abandonware scene, never to be seen again. Luckily some publishers have released some of their classic PC games for free, and are available to play using a modern PC (usually with something like DosBox added). Where do you find these games? Well, they’re usually announced, and then forgotten about by mainstream society once the nostalgia’s worn off. However, if you check out this page on Wikipedia, you get a whole list. However, which ones should you check out and which ones should you just leave be in time? Well this handy primer should help you! These are the games you must play. 1. BC Kid is a fun little platformer, some people think is related to Chuck Rock, but isn’t. 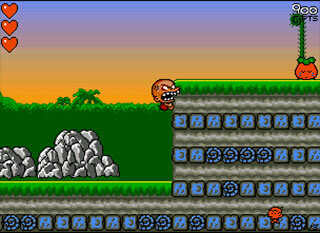 BC Kid is an Amiga conversion of Bonk’s Adventure, but they’re essentially the same game. In it you play a child – Bonk – with a solid forehead, who defeats enemies by headbutting them, a full 3000 years before the “Glasgow Kiss” was invented. Overall, it’s a fun – if unremarkable platformer. For free though, it’s well worth checking out. 2. Beneath A Steel Sky before PC games became FPS after FPS, there was one sort of game that suited the PC environment, point and click adventures. With their larger capacity they allowed for longer, more well thought out games, with fantastic storylines and great graphics. Beneath a Steel Sky (along with “Lure of the Temptress”, below) is one of those games, and a classic romp through dystopian (okay…more dystopian) Australia of the future. You play Robert Foster, a guy with no recollection of who he is and why the secret service is after him. You also play as Joey, Robert’s robot friend, who has a “personality chip”, which can be inserted into any other robot. This meant some great puzzles and humourous dialog. That, and the fact the game has excellent graphics and a engaging storyline make this well worth playing. 3. Command & Conquer Ah, you probably know about this game, but let me explain anyway. The first true real time war simulation, and it also simultaneously made war more fun, rather than dull turn based games that always featured hexagons. You could play as either the GDI or NOD forces, and your goal was to command the tiberium resource mines that can be used to conquer (clever, eh?) the enemy. It was fast paced and rather enjoyable, and you needed Nepoleon esque abilities to beat the later levels. If you haven’t played the original games yet, do so. 4. 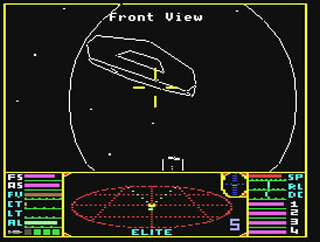 Elite Again, a game which if you have any sort of love of videogames you should’ve heard of. Elite is a vast, open space world where your career can take any form. Want to pirate and pillage ships? Do so. Want to help the galactic empire with it’s missions? Do so. Want to just be a space trader? Yeah, of course. There’s no real end to this game, and was the first true expansive game out there. It’s not for everybody, as you can stare at the screen and wonder what you’re upto, but perservere with it and you get a great game. 5. Grand Theft Auto 2 I will say one thing which people may or may not agree with – this is my favourite Grand Theft Auto game. Like Elite, it was expansive, with side missions quests and various other bits and pieces to keep you in the know. However, in GTA2 they had some wonderful ideas for gangs. In each city there were 3 gangs, and depending on work carried out increased or decreased your reputation with the rest of them. So, not only could you have the rozzers on your tail, you also got other gang members after you. Step into the wrong side of the city and you’ll be gunned down, just like that. Having assassins chase you as you screwed over a gang is truly exhilitarting! 6. Railroad Tycoon Deluxe I’m not going to cover this here. Instead read the Railroad Tycoon review from last week. 7. R-Type The Amiga version of this game is available on freeware. Again, another classic shoot-em-up from Konami, and one of the most fondly remembered shoot-em-ups of all time. It was slick, polished sideways scrolling shooter with some of the unique power ups, bosses that took up screens of space, and an incredible level of difficulty. It’s one of those games that’s really impossible to describe other than being bloody tough, yet bloody fun, shoot em up. 8. Sim City Another open ended game on this countdown. Why do they not seem to sell very well? Well, I think that’s a lie, looking at the sales of the games that are “open ended”, and Sim City is one of them. The concept is simple – build as big and prosperous city as you possibly can. It’s one of those games that easy to pick up and understand how to play, impossible to master and finish. For one because – with the exception of the short “scenario” games, there is no end! If you’ve never heard of it, pick up a copy, and play it for a few hours. It’s simplistic by today’s standards, but remarkably engrossing. 9. Tribes 2 Wow, a rarity on this countdown – a First Person Shooter! Released in 2001, Tribes 2 is a fairly standard FPS that was lost in the midst of First Person Shooters at the time. It had a few nice aspects to it as well. You had vehicles, skiing, and vast open landscapes to fight in. It never achieved commercial success, however, it became popular when it was released in freeware. Only recently did Vivendi (it’s producers) shut down it’s multiplayer servers, however a patch from it’s still active community was released so it can still be played online. Hurrah! 10. Lure of the Temptress Another point and click adventure from the same people that made Beneath a Steel Sky. Lure of The Temptress is a more fantasy based adventure, of a similar vein to BASS. The game sees you play the role of a pesant who has to defeat the undead minions of the Temptress, and save the village he’s a member of. Again, great storyline, slick graphics and puzzling gameplay makes this a must for any RPG, Point & Click or people who love a good story. It’s sad that there are some gamers nowadays that have never sat down and played a point and click. If you never had, you should, as they’re engrossing. These are my 10 favourites from the Wikipedia list, hows about you? Any other abandonware games we should know? Share your views in the comments! Please note: Please read the Wikipedia article in full before downloading the software. Some software you may innavertedly download may not be free to download. Tread carefully, and follow the instructions on the Wikipedia site. It’s a bit of a minefield, that’s all!